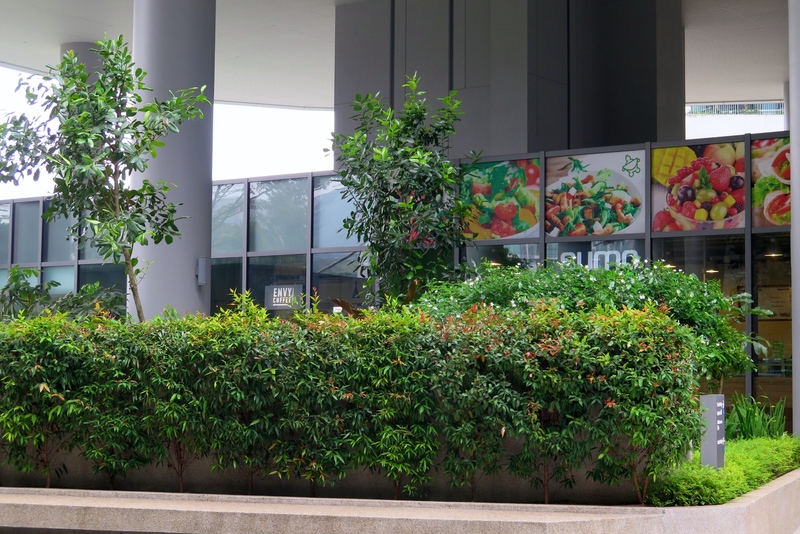 Envy Coffee is one of the early “inhabitants” at the One-North business park which plays host to three world-class facilities and business complex – Biopolis, Fusionpolis, & Mediapolis in the biomedical R&D sector; R&D in the Infocomms, Science and Engineering industry; and the digital media industry respectively. Envy Coffee is located at a strategic position within the Fusionpolis complex bringing good food, great coffee and life to the community. Open daily from Monday to Friday in the morning as early as 7:30am, the cafe is created to allow working minds to take a break outside their corporate cubicle. 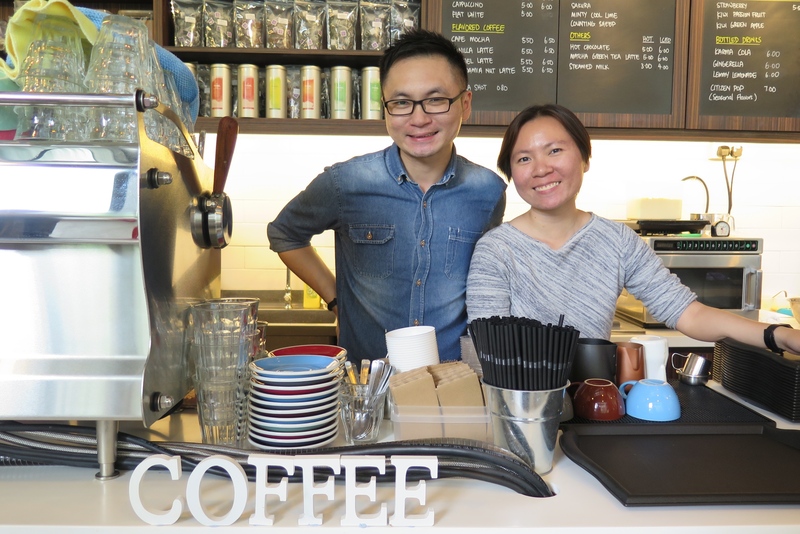 What’s the concept behind Envy Coffee? We understand how saturated one can be while working in an office, with long meetings & endless work to do. Thus we wanted to create a cozy space where they can take a break from & recharge, at the same time bringing good coffee & food to the working community. We also love talking to people & sharing whatever coffee knowledge we have as there are just so much things to appreciate about coffee that not many people may know of. At the end of the day, we just hope Envy Coffee can be a comfortable recharge station for the community. Envy Coffee, that’s quite an interesting name. What’s the story behind the name? When we shared with our family & friends about our decision to set up a cafe, many commented that they envied us for being able to realize our dream & do what we like. As time goes by, more commented the same thing. We always response by telling them that they can chase after their dream too, don’t have to envy us at all. So we decided to name our cafe as Envy Coffee & this is also how “Have the courage to chase your dream. Don’t be the one to envy.” on our wall came about. What were the challenges you faced running the cafe? There are still many whom do not understand why we sell our coffee at that price when the kopitiam can sell it at 90 cents. They do not know the idea of handcrafted coffee, the kind of quality beans we use as compared to the normal kopitiam & the hard work that goes behind each cup of our coffee. 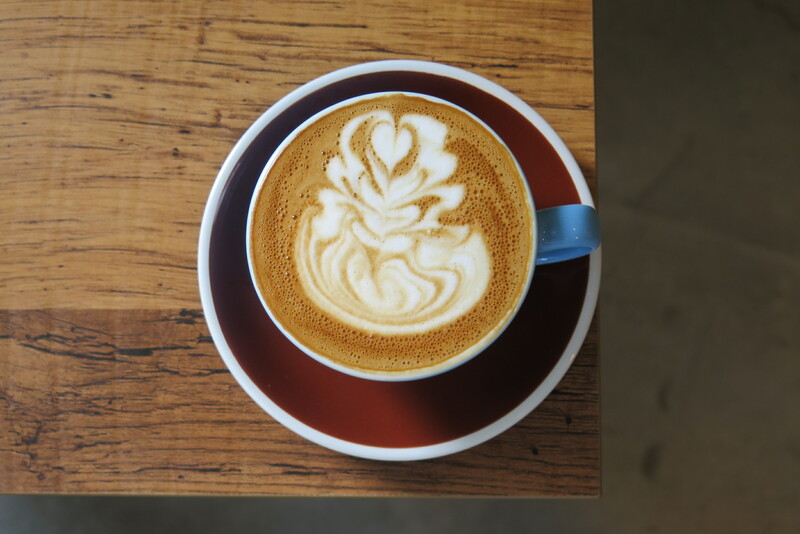 Hence, it got back to our initial motivation to set up a cafe, which is to share whatever coffee knowledge with have so that more people can appreciate handcrafted coffee. Of course, there are also issues such as difficulty in hiring the right people as well as the pressure of high rental. Envy Coffee is founded by myself (Chia Hui), my brother (Jack) & ex-colleague (Boon Kiat). 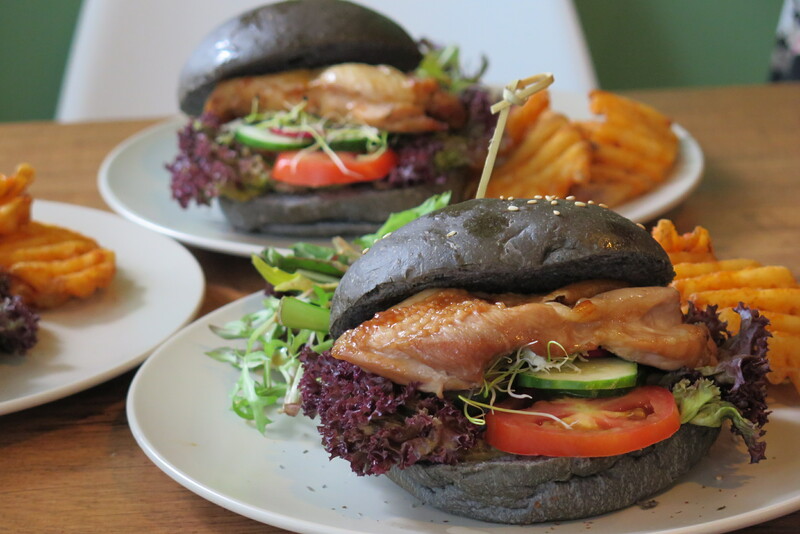 Boon Kiat and myself were in the public healthcare industry prior to opening our own cafe. We’ve always loved helping patients & held keen interest in the healthcare sector. We would definitely still be working in the healthcare industry if we were not running the cafe business. Jack has an unexplained love for coffee and F&B services for a long, long time (our paternal family actually runs a Hainanese kopitiam in the past, so it kinda affected him too). He was with Starbucks as a Store Manager for many years before he joined two more indie cafes to further train on his Barista skills, and finally setting his own Envy Coffee. If there is no Envy Coffee, you will definitely see his presence in other cafe working as a Barista. As much as we would like to tell people to just have the courage to chase after their dream of setting up their own business/ cafe, the most important thing would definitely be planning, planning & planning. Like how the saying goes, “Fail to plan. Plan to fail.”. It is not a blind move to just do whatever you like but rather, the magic is to do proper planning & market research with a dash of courage in order to kickstart your own business/ cafe. Envy Coffee serve up all day breakfast items such as croissants, assorted pastries, muffins and pies. As well as the multigrain bread with much-loved handcrafted Beenut Butter spread from Second Helpings. 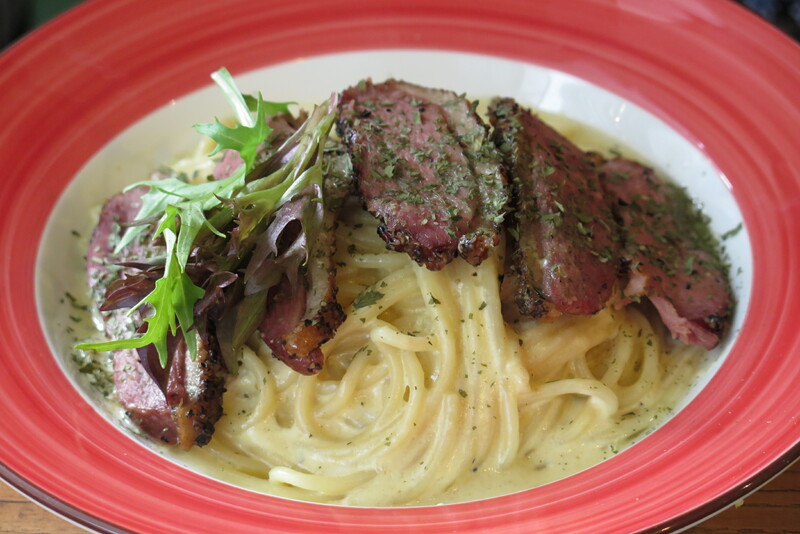 For sandwiches and pastas, the Smoked Duck Miso Spaghetti ($12.90) – smoked duck breast with spaghetti in special miso sesame cream sauce and Roast Beef Sandwich ($9.80) – multigrain bread with sliced roast beef, tomatoes, fresh greens and horseradish sauce are my favourites dishes among the few. 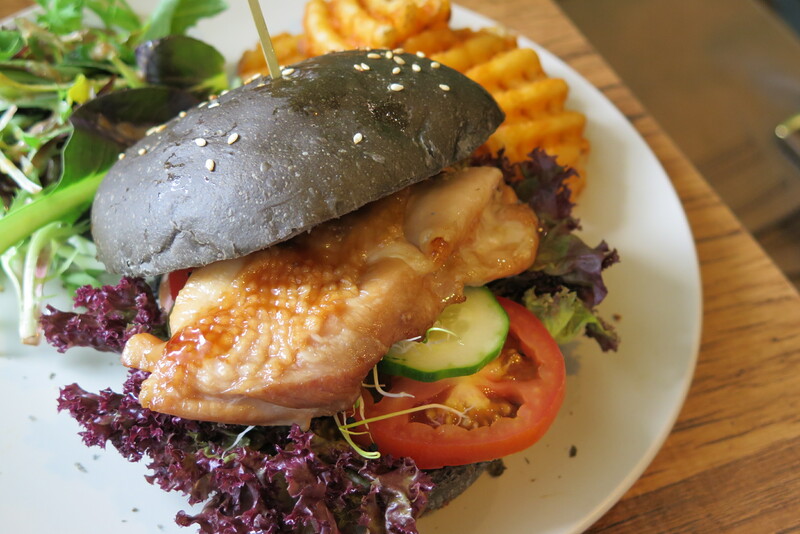 The cafe recently launched three signature chicken burgers in black charcoal buns – Cajun Chicken, Teriyaki Chicken and Sambal Prawn Paste Chicken. All the burgers are served with a side of greens and waffle fries for ($13.90) a set. If you are wondering why the coffee here tastes familiar, they are using coffee beans roasted by Liberty Coffee. 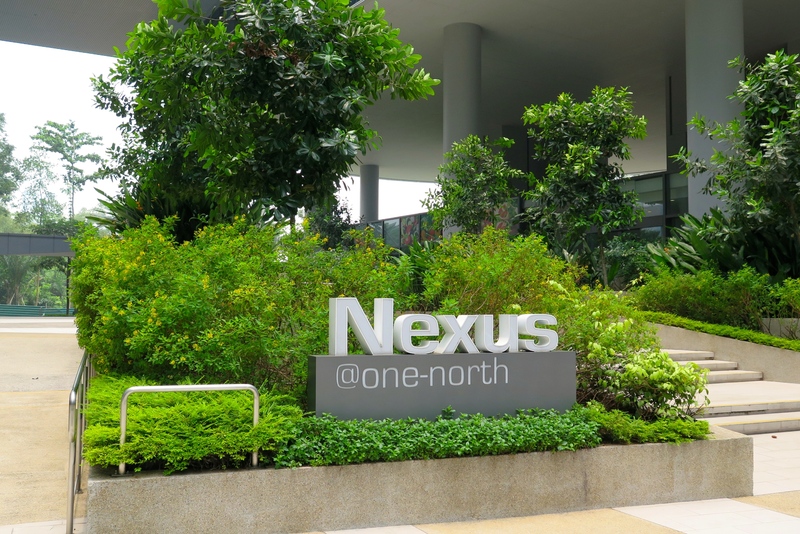 All prices indicated are Nett without GST and service charge. *Envy Coffee has been rebranded to The Croissandwich Shop WEF 4 April 2017, but is now permanently closed on 30 August 2017.